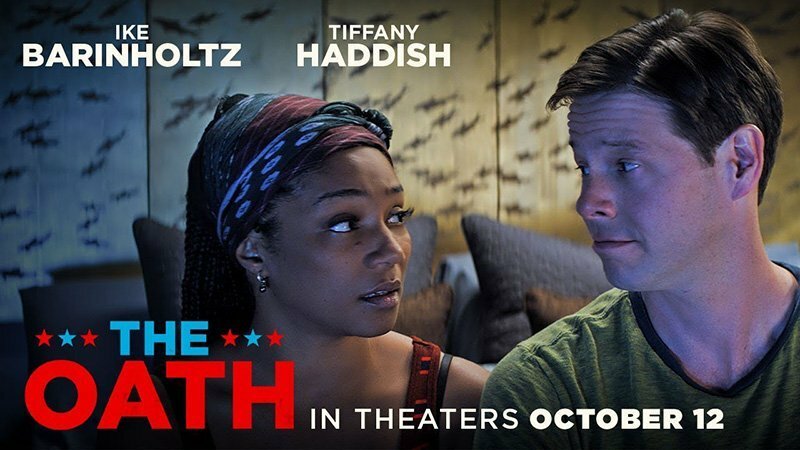 Roadside Attractions has released a new teaser trailer for their upcoming dark comedy film The Oath starring Ike Barinholtz (The Mindy Project, Neighbors, Suicide Squad, Blockers) and Tiffany Haddish (Keanu, Girls’ Trip, Night School, The Kitchen). Check out the new teaser in the player below, which reminds us that holidays and politics can be murder. A controversial White House policy turns family member against family member in The Oath, a savagely funny dark comedy about surviving life and Thanksgiving in the age of political tribalism. 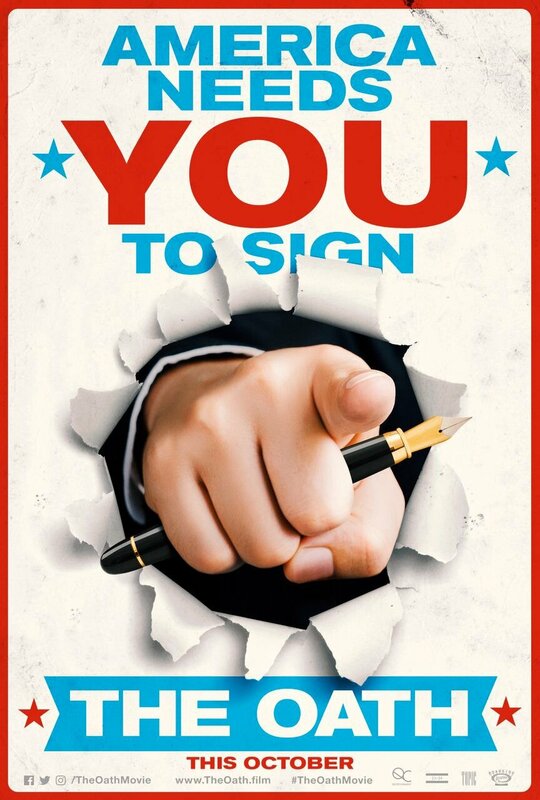 When Chris (Ike Barinholtz), a high-strung 24-hour progressive news junkie, and his more level-headed wife Kai (Tiffany Haddish) learn that citizens are being asked to sign a loyalty oath to the President, their reaction is disbelief, followed by idealistic refusal. But as the Thanksgiving deadline to sign approaches, the combination of sparring relatives, Chris’s own agitation and the unexpected arrival of two government agents (John Cho and Billy Magnussen) sends an already tense holiday dinner gathering completely off the rails. As timely as it is outrageous, The Oath is a gleefully wicked reinvention of the traditional holiday comedy for our divisive political times. The cast includes Barinholtz as Chris, Haddish as Kai, John Cho (Star Trek Beyond, Harold & Kumar Go To White Castle, Searching), Carrie Brownstein (Portlandia, Transparent), Billy Magnussen (Into the Woods, Ingrid Goes West), Meredith Hagner (Veep, Search Party), Nora Dunn (Southland Tales, Saturday Night Live), Jon Barinholtz (Dumb and Dumber To, Superstore) and Chris Ellis (Armageddon, Murder in the First). The film is directed and written by Barinholtz. He also serves as the film’s producer along with Sean McKittrick, Ray Mansfield, David Stassen for 23/24 Pictures and Andrew Robinson. The Oath‘s executive producers are Haddish, Edward H. Hamm Jr. and Kristen Murtha. QC Entertainment (Get Out) has financed and produced the film. The Oath will premiere in theaters on October 12, 2018. The post The Oath Trailer: Surviving the Holidays Will Be Murder appeared first on ComingSoon.net.